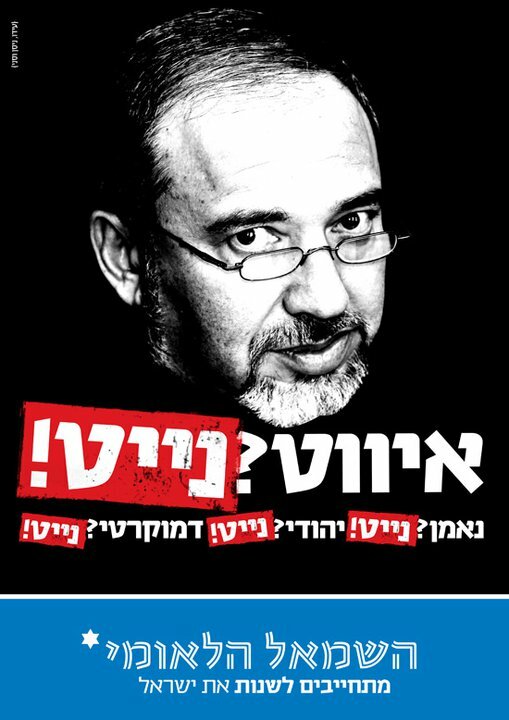 The poster below is circulated in Israel by a group called the National Left. I found it on their Facebook page. Their web site can be accessed here, but it is only in Hebrew. I just love the poster, though. The main message says “Yvet? Nyet!”, referring to Avigdor Lieberman, who was born in the Soviet Union and is often reffered to as Yvet. Beneath that, it reads: “Loyal? Nyet! Jewish? Nyet! Democratic? Nyet!” Their tagline reads “The National Left. Taking responsibility to change Israel.” Israel needs more of them, and I hope they reach out for support beyond Israel.